Use of DBX Recovery software results in efficient recovery of corrupt Outlook Express DBX file. In addition to that, there is no need to install Outlook Express to compensate the recovery process. Restore and Recover corrupt DBX file in multiple formats. Option of Advance scanning to recover highly corrupt DBX files. Permanently deleted emails will be recovered from DBX file. Recover by searching the DBX file in group. In case of recovery in Outlook file format, MS Outlook installation is mandatory. Outlook Express installation is not required to restore DBX file. 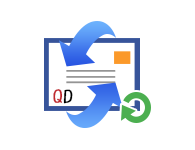 Supports Outlook Express 6.0 and below versions. DBX Recovery software recover and restore emails from corrupt or damaged DBX files. Before initialising the recovery process, you will find the option save the repaired DBX files at desired location. In order to recover the multiple DBX files at a time, search option is available. With this option, you will be able to find the DBX files present in your system. After applying search option, the selected Outlook Express DBX files will be listed below with the attribute like: File Name, Size, Creation date. So, It will get more feasible for you to notify the DBX file. If you have a DBX file that is highly corrupted then, you can opt for Advance Scanning mode option to aptly recover DBX file. With this option, deep scanning of highly corrupted DBX file will be performed. The DBX Recovery Software application assures to retain all the meta properties of emails. This tool also retain all the attachments embedded within the emails without any alteration. DBX recovery software provides the proficiency to save the DBX file in multiple formats after apt recovery and scanning of damaged DBX file. Step 1: Go to Start menu >> Programs >> SysTools Outlook Express Restore >> SysTools Outlook Express Restore. Step 4: Since, You can add multiple Outlook files at a time by clicking on Add. YOu will be able to see the file with details lke File Name, Creation date etc. Step 5: Now, Click on Browse button to select the destination to save the output file. Step 6: After that, following screen will be visible. Step 7: Now, You will find multiple options to save the file into. Advanced scan is for deep scanning of highly corrupted file. Step 8: Then, Click on Recover. Recovery process will be initialised with scanning and progress report. Step 9: The recovered emails will be visible as per selected file format and destination. Is it mandatory to install outlook for recovery of corrupt DBX? Installation of outlook is mandatory in case of exporting DBX to Outlook file format only. What is the file size limitation of DBX file for recovery? There is not any file size limitation for DBX file to be recovered. What is the file format of converted file: ANSI or UNICODE? After restoring DBX file data, software creates PST of UNICODE type (also depends upon the outlook version installed in your system. With the end of Microsoft support to Windows XP OS, I was in need of transferring my OE data to MS Outlook. DBX Recovery tool did a great job with a result of PST file without any data loss. I was stuck with a highly corrupted DBX file, not able to find a solution to get back my mailbox data. Then, I came to know about Outlook Express Recovery software along with great support team. Thanks a lot for helping me out with recovered data.